Coarsening is a widespread and much studied phenomenon, historically related to phase separation, but also found in other out of equilibrium systems. 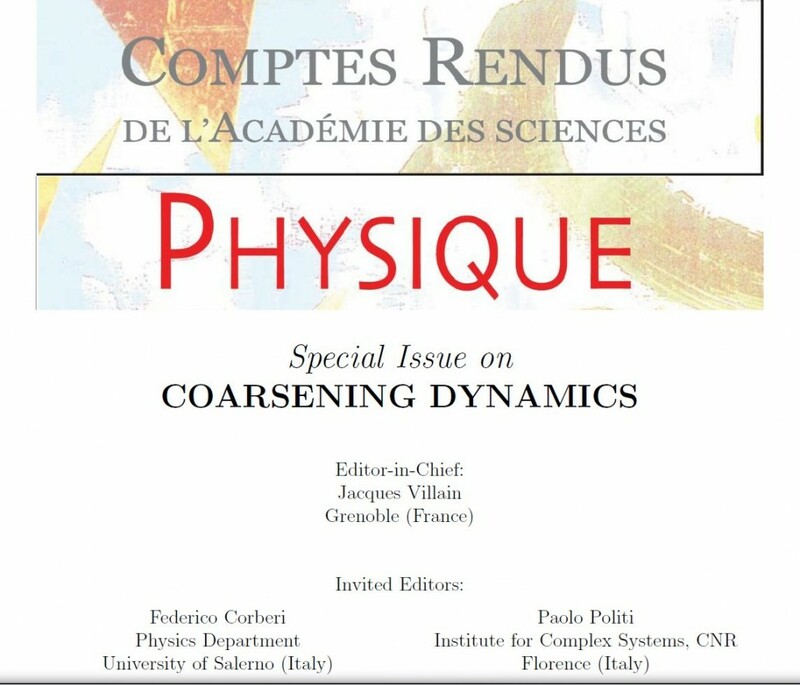 Coarsening is a common feature of pattern formation, it may accompany the dynamics of driven systems, and it is a natural outcome of kinetic roughening phenomena. The list of confirmed contributions and the links to papers on arXiv is here.